The astroturf pitch at the town's community centre. THE DEVELOPER BEHIND the Adamstown SDZ says that it hopes to sell half as many units this year as it sold from 2007 to 2015. The town, just south of Lucan, was the first of the so-called Strategic Development Zones (SDZ) which benefited from fast-track planning – and the first ‘new town’ planned since Shannon was created in 1982 in Clare. The €2 billion town was planned to house 20,000 people who could enjoy 70 acres of parkland, sports facilities, a rail station and multiple schools. However, up to 2016 only around 1,100 homes were completed and sold and building stopped in 2014, only recommencing in 2016. That building led to the delivery of the Alderlie development before Christmas, which saw 150 new homes built. A further 57 has been sold in the first phase of the St Helen’s development and the total scheme is slated for 135 houses. A further 246 “trade-up” homes were launched for the Somerton development in autumn. Castlethorn says sales of these have been “very strong”. That is a marked turnaround for the town, which was launched in a blaze of publicity in 2005, its developer says. “Castlethorn sold and completed approximately 1150 units before 2015. While the slowdown has left parts of Adamstown more underdeveloped than residents would like, Castlethorn says it believes that the SDZ model is the only way to build homes. 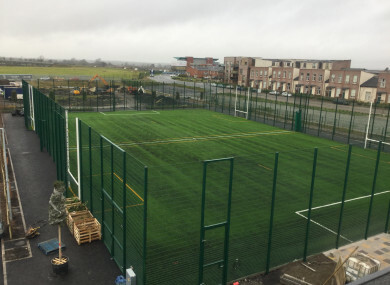 “Adamstown already has well established community facilities which includes two primary schools, a secondary school, neighbourhood shopping and temporary playing pitches. That SDZ strategy is one that is being actively pursued across Dublin, with sites in Hansfield west Dublin, Clonburris, Grangegorman, Cherrywood and the Docklands.In 2015, plans were announced to make Poolbeg West in the city centre an SDZ in hopes of tackling the capital’s housing crisis. The huge site, which measures 34 hectares in size, has been idle for many years after becoming one of the most high-profile victims of the economic crash. At the time, Dublin City CEO at Owen Keegan said the redesignation of the site is an opportunity to build on the success of the nearby North Lotts and Grand Canal SDZ which has seen over 85% of its development blocks either approved or at pre-application consultation. Adamstown will also receive €20 million from the Local Infrastructure Housing Activation Fund. The allocation includes funding for a new road linking Adamstown to Celbridge Road and the N4/Leixlip Interchange which will facilitate hosing supply at Adamstown while helping reduce the over-reliance of traffic on the heavily congested Newcastle Road. The developer says that this infrastructure, linked with the existing railway station and the opening of the Phoenix Park rail tunnel for the first time in a century is having a “very positive impact” on demand for housing in the area. Email “Adamstown developer will sell half as many units this year as it did from 2007-2016”. Feedback on “Adamstown developer will sell half as many units this year as it did from 2007-2016”.